Pick up from Cochin Airport/Railway station proceed to Munnar. On the way visit the water falls of Valara and Cheeyappara. Check in to the resort at Munnar Overnight Stay at Resort. Local sight seeing (Mattupetty Dam,Tea Plantation) Sightseeing Munnar - visit Rajamalai to see the Nilgiri Tahrs Mattupetty where boating facility is available The Echo-point,Kundala lake for boating in Shikara type of boats Top Station - The border. 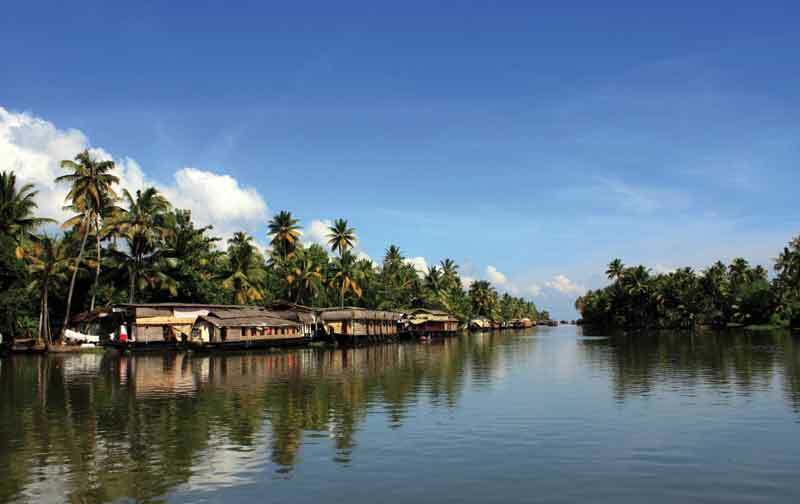 Check out from the resort and proceed to Kumarakom Check in to houseboat for an overnight cruise through the unique back waters of Kerala. Houseboat will be your transportation for the day and accommodation for the night. Glide along the narrow canals laced by the infinite greenery imparted by coconut palms,watch the gentle and soothing greenery of paddy fields and the village folk at work. Relax on board listening.